BK1017. 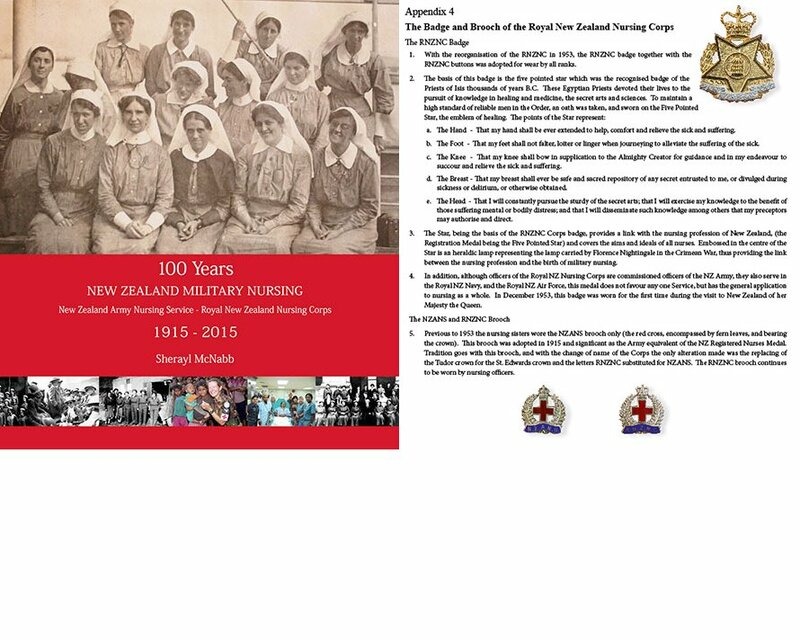 100 YEARS NEW ZEALAND MILITARY NURSING | Military Memorabilia Ltd.
BK1017. 100 YEARS NEW ZEALAND MILITARY NURSING, NZ Army Nursing Service – Royal NZ Nursing Corps 1915-2015	by Sherayl McNabb, “Dedicated to the women and men of the Royal New Zealand Nursing Corps” Foreward by HRH, The Princess Royal, Colonel in Chief, Royal New Zealand Nursing Corps, 520 pages, hard cover.